Gazpromavia Aviation, which is wholly owned by Russian gas giant Gazprom, has ceased Tupolev Tu-154 (M) operations. The only commercial operator of the type remaining in Russia is Yakutia-based Alrosa Avia. In Q4 2015, Gazpromavia also stopped operating other Soviet-built aircraft, Yakovlev Yak-42 jetliners, citing their low efficiency and its growing SSJ 100 fleet. The obsolete aircraft were replaced with Sukhoi Superjet 100 (SSJ 100) regional airliners. At the MAKS 2011 aerospace exhibition, the carrier ordered 10 Superjets from Sukhoi Civil Aircraft Company in the long-range (LR) version; revenue operations of the type began in March 2014. In July 2015, the carrier took delivery of its 10th Superjet. These aircraft are used, in particular, for flights to Gazpromavia’s Bovanenkovo airport in Yamalo-Nenetsk Autonomous District. 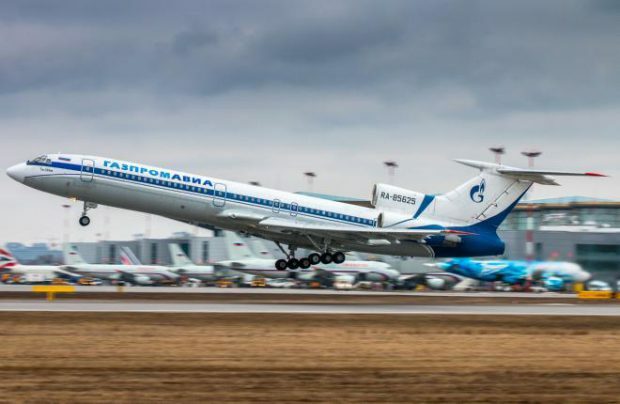 According to statistics provided by the Transport Clearing House, the number of passenger-kilometers flown by the Russian Tu-154 (M) fleet has dropped 18.5 times over the past five years (from 4.761 billion in 2011 to 257.29 million in 2015). The share of Tu-154Ms in last year’s overall passenger-kilometers flown by Russian carriers amounted to 0.11% (against 2.86% in 2011). Alrosa continues to operate two aircraft of the type on domestic flights; according to the airline’s summer timetable, these aircraft fly from Polyarny Airport in Yakutia to Moscow, Novosibirsk, Gelendzhik (with a stopover in Moscow), Krasnodar and Simferopol (both latter routes with a stopover in Novosibirsk). Last year, Alrosa General Manager Andrey Gulov said the carrier was prepared to replace its Tu-154Ms with SSJ 100s in 2017-18. Gazpromavia, for its part, still has Soviet-built airliners in its fleet: several Yakovlev Yak-40s are operated by the airline’s Sovetsky Airport-based branch (in Khanty-Mansi Autonomous District). “These aircraft are airworthy, and are used on regional routes,” says the Gazpromavia source.